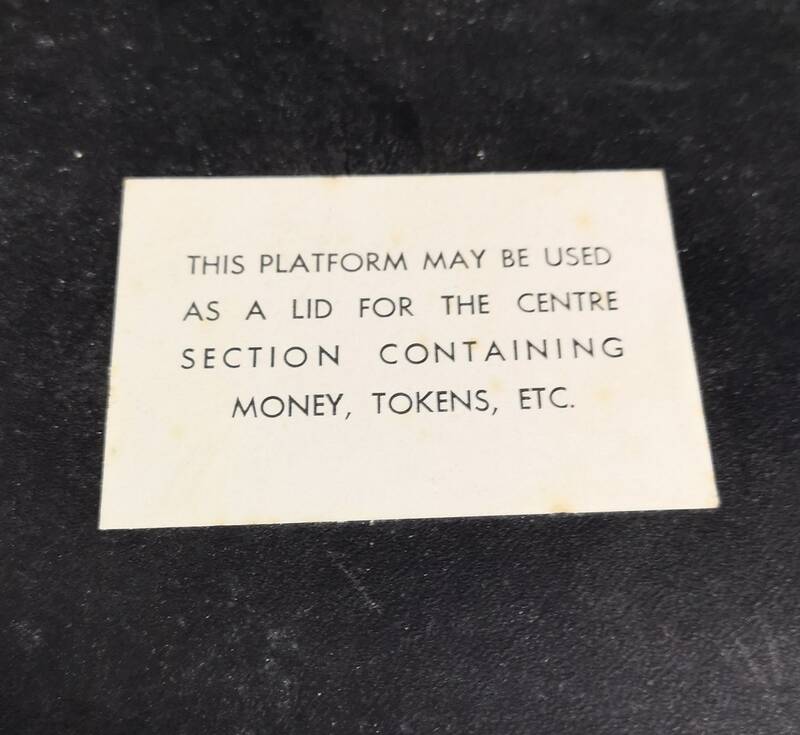 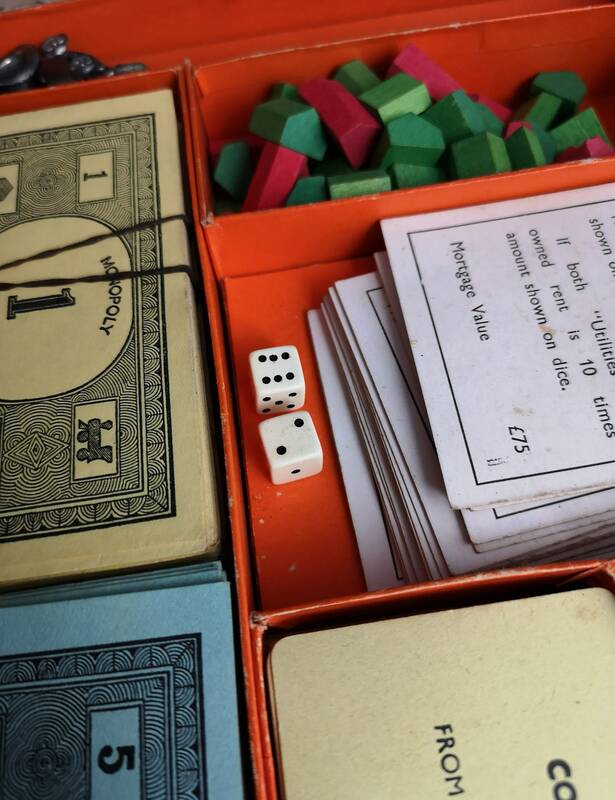 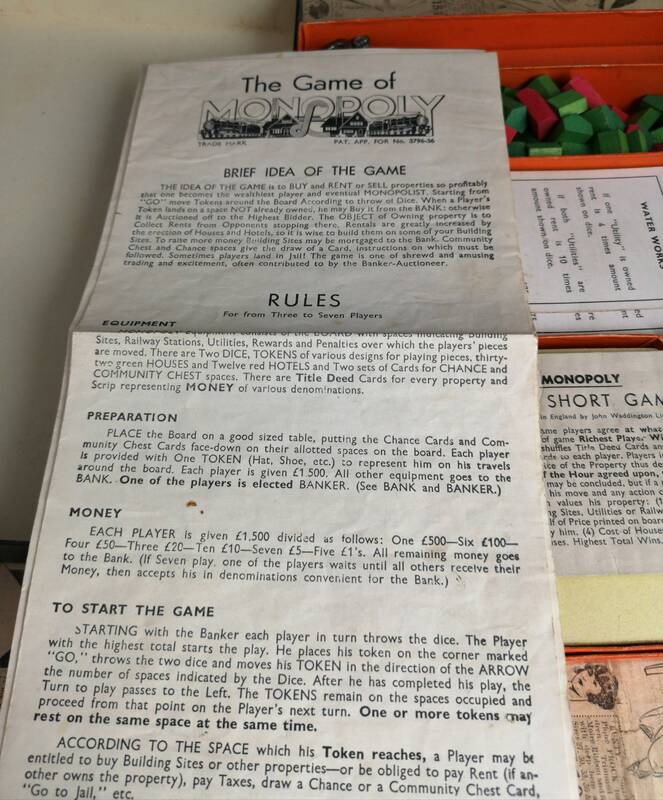 A charming vintage 1930's Monopoly game. 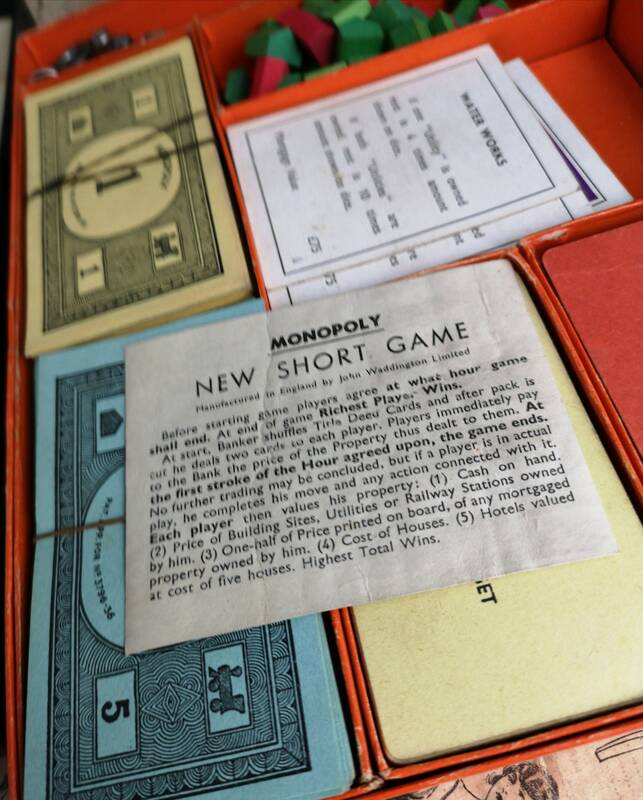 It is a pre patent version released before the patent was granted, patent numbers can be found on the instructions, the game has the new short version pamphlet. 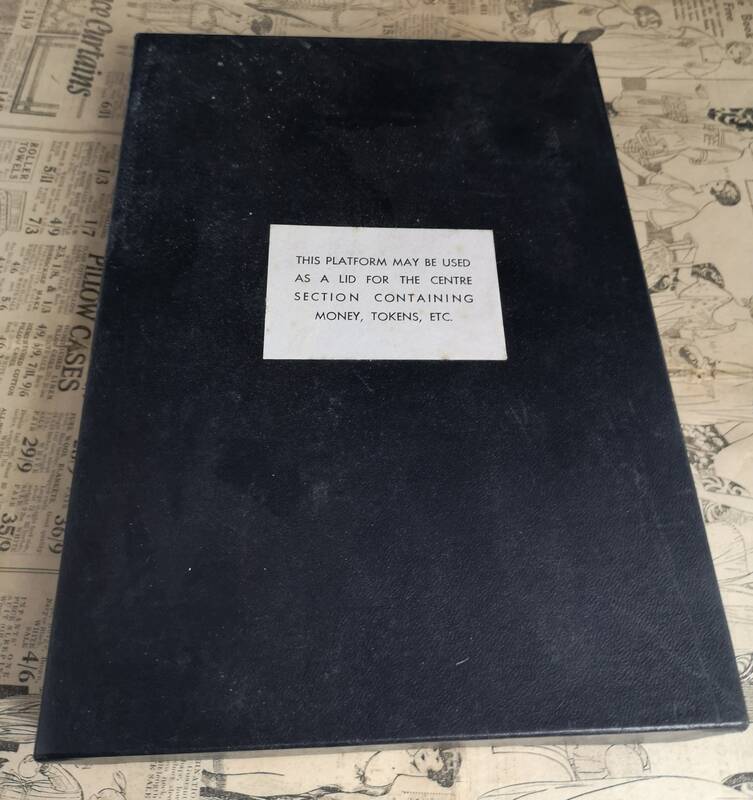 It has no board with it and comes in an unbranded plain box. 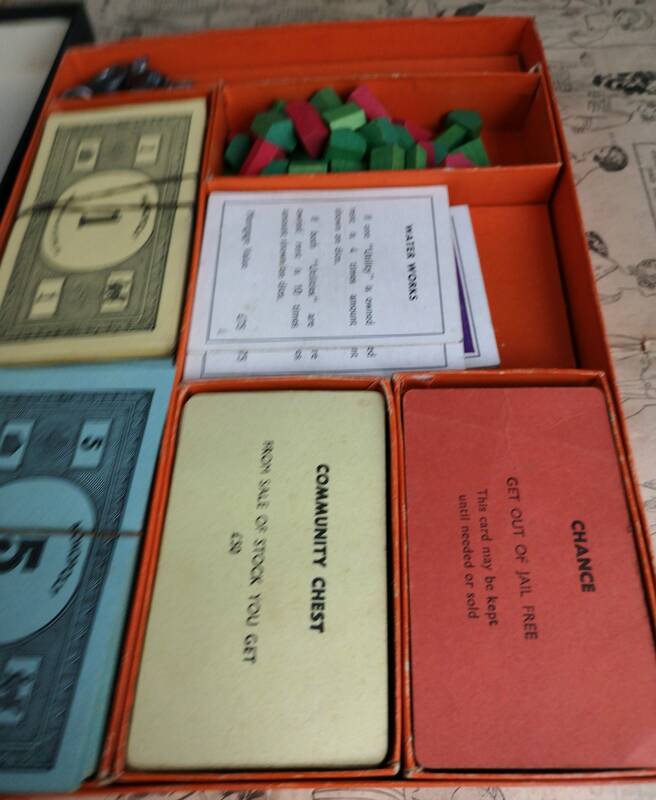 The pieces have not been checked but it appears to be complete, no guarantee though. 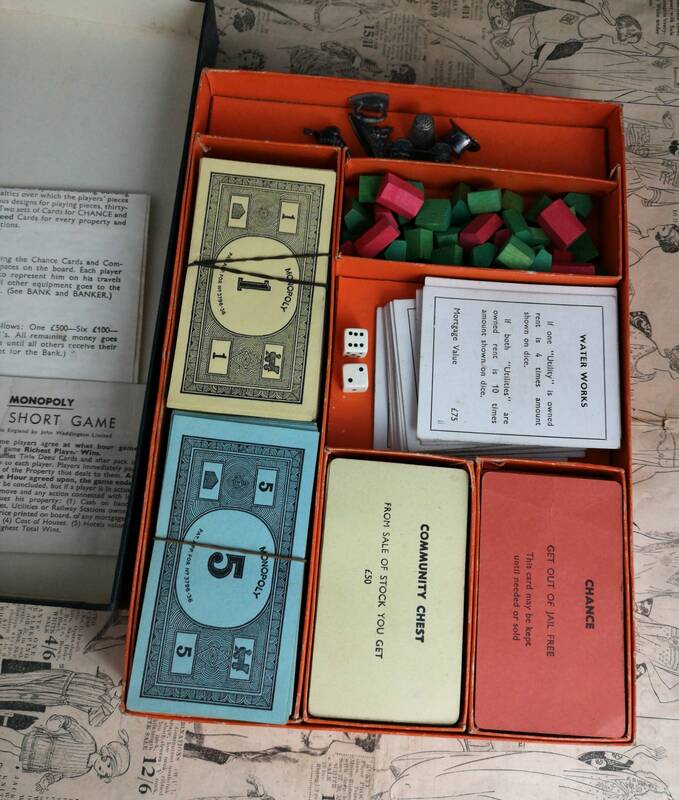 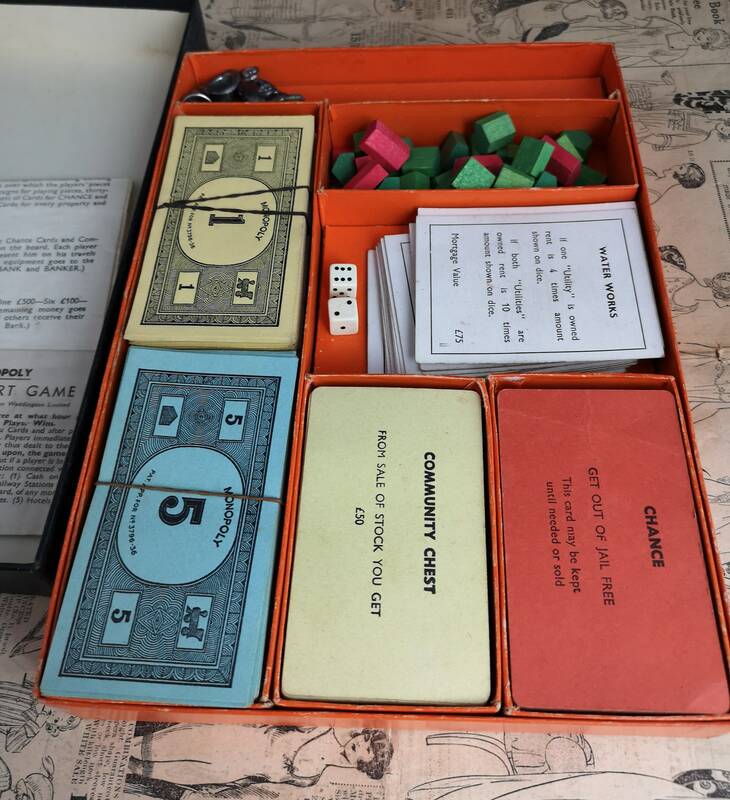 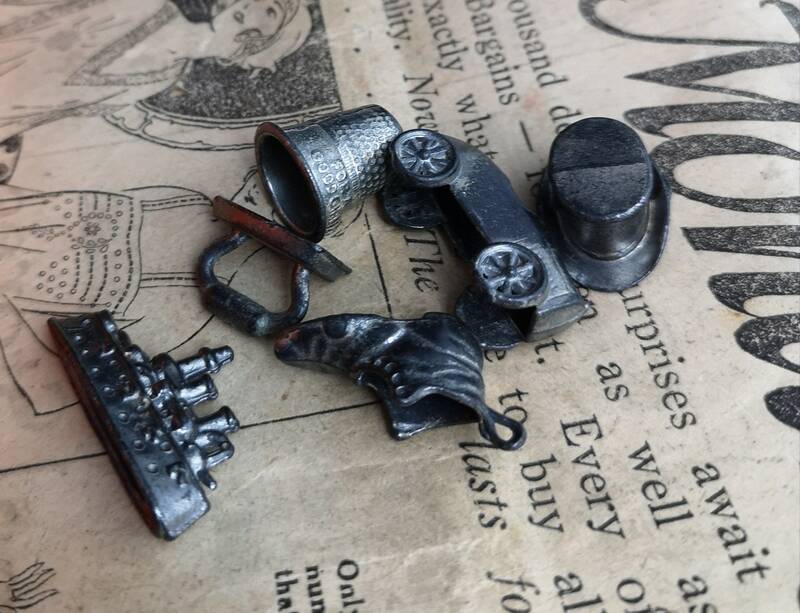 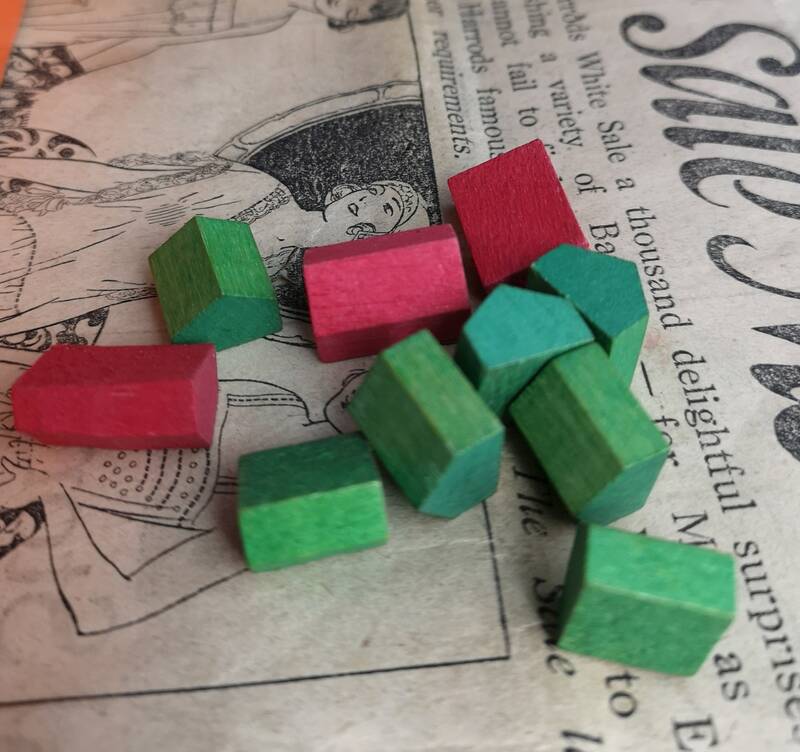 It comes with metal play pieces and wooden houses and hotels, a nice early version of the popular family game.